Are you looking into the mirror and witnessing stained teeth? We understand how you will feel at this point. Losing the lustre in teeth will affect self-confidence and your bold smile. Are you craving for pearly white teeth? Then we are here with your remedies. Fret no more. There are many teeth whitening goods available to bring back your bright and white smile. However, with a mass of different products available, not all are good to be used. Teeth whitening should be done only under the guidance of a professional. 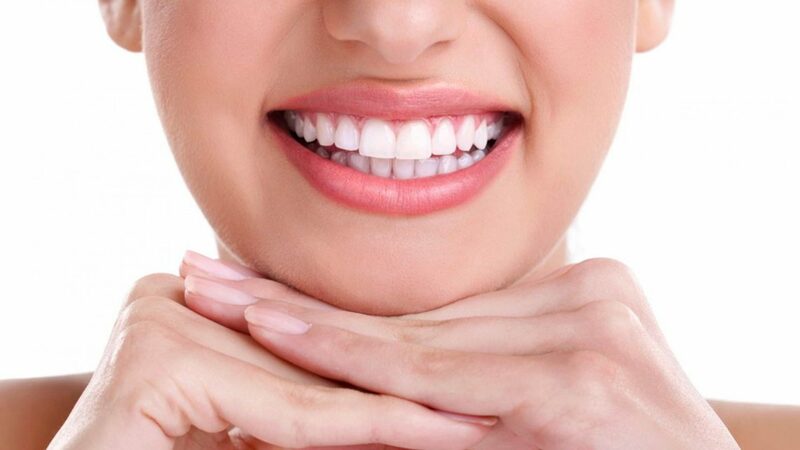 Teeth whitening in Melbourne would save you by giving you shiny pearly whites for a long time. 1. Why Our Teeth Get Discoloured? Do you know? Teeth lose its shine with age. Yes, our teeth are white at first and slowly fade as we age. Genetics also play a significant role in teeth discolouration. However, there are still more common reasons for our teeth losing its colour and shine. First, some food we take, for example, carbonated drinks, and our all-time favourite coffee is responsible for teeth discolouration. Unknown, some medications are also accountable for stained teeth. 2. Why Is It A Must To Have Teeth Whitening With The Guidance Of A Dentist? 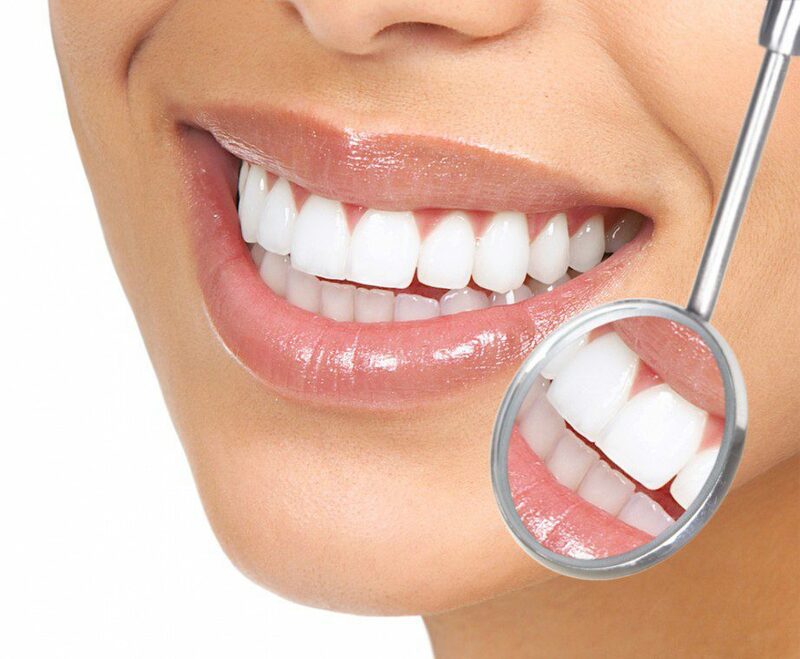 Teeth whitening when done by a professional, it is safe, hygienic and predictable. Though there are many whitening options available in the local market that claim to give you a bright smile, these must be strictly avoided at any cost. These alternatives may appear attractive and provide some results, but the products used by the dentists are clinically tested and are reliable. The alternate teeth whiteners may damage your teeth and end you up needing for some extensive restorative dental care. 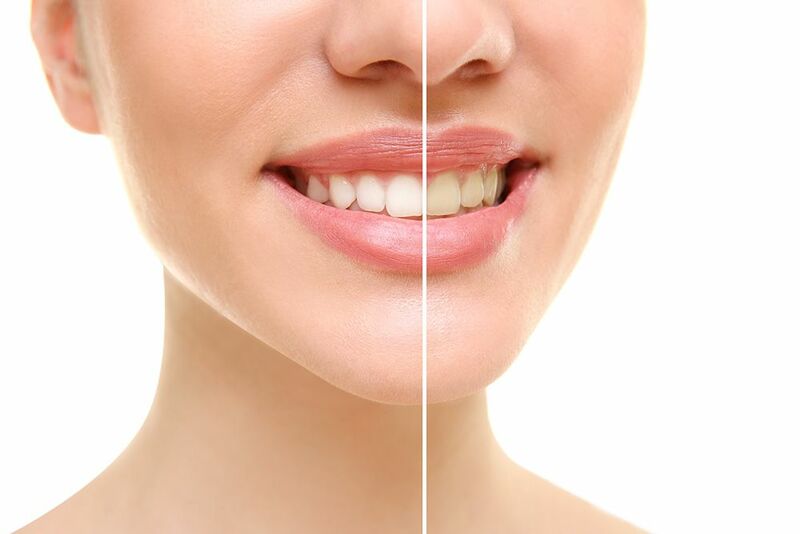 Moreover, teeth whitening cost in Melbourne is also affordable. 3. How Do Dentists Perform Teeth Whitening? Professional teeth whitening includes thorough cleaning and polishing the teeth with special agents. The dentist will first secure your gums and apply the whitening gel over the teeth making sure it doesn’t come in contact with the gums and other sensitive areas in your mouth. He will then employ the latest technology to get rid of any hard stains and apply the gel for two to three times. He will also take measurements of your teeth and give you customised trays fitted with gel to be used in home. This is to maintain the pearly white for a long time. 4. How Can I Retain The Shine For A Long Time? Avoid any dark staining drinks or beverages. Brush your teeth twice and floss once in a day. Clean your mouth thoroughly after every meal. Stained teeth? No more worries. Teeth whitening prices in Melbourne are affordable, and the procedure is completely safe. Before going deep into the concept of teeth whitening, I think it’s the right time to talk about the style aspect of movie star smiles and other TV personalities. Okay, let me ask you a question. What is the one physical trait that you see common in a movie star, celebrity, network news anchor or any other media personality? It is not the height, the fairness, weight, body type, physical fitness or not even the colour or style of their hair. The only thing they all seem to have in common is a set of straight, polished, pearly white teeth without any stains, chips, flaws, imperfection or discolouration. And why do they have their teeth to be so perfect? These celebrities have a lot to thank the tooth fairy. And one among them is teeth whitening in Melbourne. Adult’s teeth are normally grey or yellow and are not bright white. It further shades slowly deepen over time as our enamel thins, revealing the less-white layer of dentin beneath it. The discoloration can also be due to our lifestyle and diet. 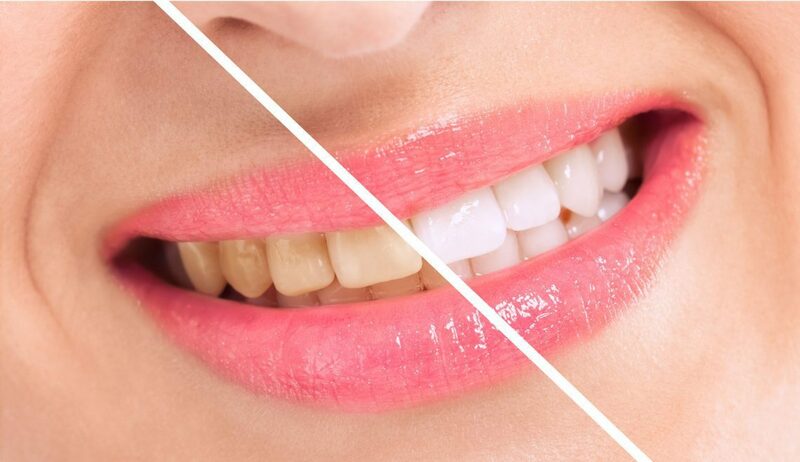 To remove these stains, dentists use some teeth whitening products to regain the natural white colour of your teeth. This process is named as teeth whitening. If you are considering teeth whitening, then this is the right guide for you. Yellowing of teeth is caused as a normal part of aging, because the enamel is getting thinner due to wear, and things like grinding your teeth or acids from foods you eat can thin enamel earlier, making teeth become yellow sooner. Other reasons that make your teeth turn yellow or grey are listed below. This refers to cleaning the inner part of the tooth, which soaks up hydrogen peroxide gel and becomes lighter. When the inner part of the teeth is whitened, it reflects through the outer enamel and makes your teeth look whiter and brighter. In this process, the bleach or the gel only lightens the inner tissue of the tooth, not the hard, outer enamel. Removing stains from the outer part of your teeth, i.e. enamel is called as extrinsic teeth whitening. Your dentist may use some polishing and whitening toothpaste or gel to remove stains left behind by smoking, wine, tea, and coffee. Getting a bright and white teeth through professional cleaning may cost you anywhere from $600 to $1000. But, the teeth whitening cost in Melbourne may also vary depending on the advanced technologies utilised by your dentist if any. 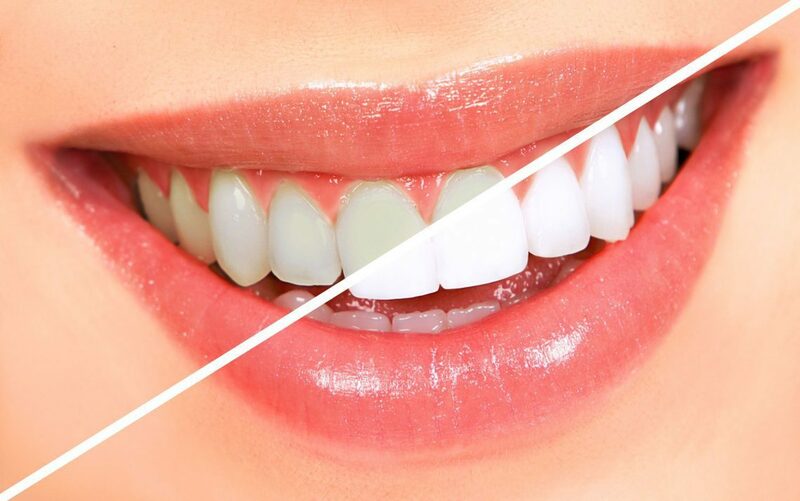 Visit https://affordabledentistcbd.melbourne/ to learn more about the reasons for teeth discolouration and teeth whitening prices in Melbourne.